Oh goody, goody! What a way to start the day, thanks Brenda! This was a great show, BD. But I did have to leave the room when you stopped talking about knitting for those few minutes. Sheesh. Oh crap, now people are going to think I’m cool or something. I hope Harlot keeps quiet about what a huge dork I really am. Talk about pressure! Thanks for the mention, you sultry vixen of the podwaves, you. I love your show. You made my Saturday. I just wanted to point out that Chatelaine, is not an online zine. It is a Canadian woman’s magazine, that has been in print since at least the late 1940’s. Loved the rest of the show, I’m just rabid about my country, sorry. Thank you for a wonderful Show. After years of not knitting, I am trying to knit again. Thank you for your inspiration. I have just spent the last few days listening to all of your programs! I didn’t know what a podcast was until a couple of weeks ago. What a wonderful, amazing job that you are doing! I enjoy your musings so much. Please tell us what cookies are and how to give them to you…..and how to find your blog page. Another lovely show! Thanks for the sweater of the day. It was nice to have it back. And hopefully we can all pitch in to keep it around. This is my first comment… I have been a lurker for many weeks now, and I look forward to your cast every week. I just wanted to let you know that this week’s episode was exactly what I needed to hear tonight. I am having a dead horse moment- unrelated to knitting- and now I see that I do have options, as long as I stop flogging that horse. Great show again this week Brenda. I love hearing about the muses, and the last two have been especially good for me. It’s been a hard few weeks due to family illness and the muses have been by my side both day and night. I too have a cursed sweater and it isn’t even for me. I am making it for a company who use only the best fibres and dye their own yarns, but boy is it driving me crazy. 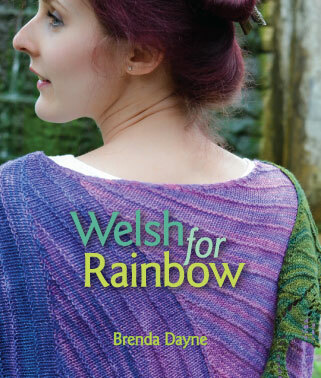 Ever since I started knitting it I have had health problems and family problems. I’m two months behind on it and it is still sitting in a bag and is very much unloved. If it were mine I would rip out and give the yarn away. Keep up the good work and I am looking forward to the next instalment. BTW, I love listening about podcasting, not for myself, but it’s nice to know how a person works through things and figures out a problem. etc., plus the promos open up so many other doors. Is this my first comment? that seems impossible since I’ve listened to each and every show! I adore them. Good stuff, all. Sometimes I find your words coming back to me at the oddest times. In fact, thanks to you (and a few others) I’m working on a podcast of my own! You’re an inspiration, in a totally non-hokey kind of way. thanks so much! Hi Brenda thanks for mentioning the Stanley Cup Widows story. It was fun, as a writer, to be interviewed for a change. It was also fun to spread the word about a couple of great podcasts. Just to clarify, Chatelaine is a print magazine with a circulation of 978 968 combining English and French print editions. Canadians can find the story in the June issue, which is on newstands now. Fantastic show… I even listened twice. You reminded me, with your discussion of math anxiety, about how sometimes you can get so busy being nervous about doing something that you can’t actually do it. I suppose that’s the problem with anxiety in general. Anyway, they were the right words and the right time! People complain about the non-knitting content? Wow. They can always skip the bits they are not interested in, ffwd a song they don’t like, etc. I know you select everything very carefully and I hate to suggest that, but it’s better then people expecting they will always love every second of what they hear. Cheers for another great show. I listen every week, and one of these days, when I get my voice recording up and running on my computer, I’ll actually send you my knitting memories story. Hooray! the maths stuff was so me, Brenda. I thought I was just pathetic the way my ears would start ringing and my brain go foggy when numbers were mentioned. hey, at least I know now I’m not alone. And if involving numbers in my knitting helps me overcome that, then I’m all for it. Great show! I’m really excited to hear that you are wanting submissions for “Today’s Sweater.” I’d love to submit something (I already have something prepared) – is there an email address where I can send it? i’m catching up after missing a couple of weeksâ€”i like the newest show a lot; it’s a little less serious than the last few have been . . .
today’s sweater was great; who doesn’t have one of THOSE in their knitting past?? i made mine into a blanket . . .hahahaha! I just started listening to Cast-On last week. I personally enjoy the techie content – but I’m a techie person. Anyway, I was excited to hear your voicemail from Erika from Bryn Mawr PA. It was amusing to me because I was listening to the podcast in Bryn Mawr when I heard that, and I started looking around as if I’d be able to spot her. Sadly, I did not see any twentysomethings knitting nearby. I also thought it was interesting that you had a voicemail from someone from Bryn Mawr, I mean, calling Wales from Bryn Mawr PA seems somehow coming full circle. Also, I met a girl named Erika in Bryn Mawr a few weeks ago. 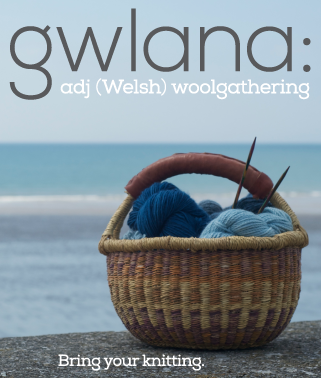 She was not a knitter but she was Welsh! Isn’t that just sort of weird? And certainly learning to no longer beat the proverbial dead horse is to learn to “Embrace Sanity: Because the definition of Insanity is doing the same thing over and over again and expecting a different result.” Here’s to knitting (or spinning or other craft-of-your-choice) your way toward Sanity. Thank you so much for this podcast Brenda. That math study you mentionned struck a chord in a big way…I was transported back to grade 4 math “speed tests” as I froze in panic at the thought of answering 25 multiplication problems. I remember I used to get 0/25 all the time. That does a number on an otherwise clever child’s psyche. Anyways, luckily I’m over that now (I rocked in stats and economics in University) but I will be sure to play the podcast for my mother who sacrificed many a vacation on a myriad of math tutors for me. Perhaps she’ll find solace in the fact that there’s a study that points to physiological evidence that it may have been performance anxiety all along. I also want to let you know that of all the podcasts I subscribe to, yours is really the only one that I listen to without fail every week. Truly. You do a fabulous job. So, thank you! I’m listening like the wind in an effort to catch up on the podcasts (I’m new to podcasts and my obsessive perfectionistic nature won’t allow me to listen to the new ‘casts without first listening to all others), and I really like this one. I have been knitting for a long time but I’m trying desperately to break out into the foray of designing and this was a really fun episode for me – I’m not alone! As a very tight English knitter, I also liked your brief review of YNotKnit and I’m gonna get it. I’ve crocheted longer than I’ve knit and it exasperates me that I can crochet perfectly with the yarn in my left hand, but throw a couple pointy sticks my way and my left hand turns into a useless stump. It can be done, so I’m determined to give it go. I really enjoy your podcast and can’t wait to finally be up to date, but then what shall I do having to wait an entire week for a new episode?